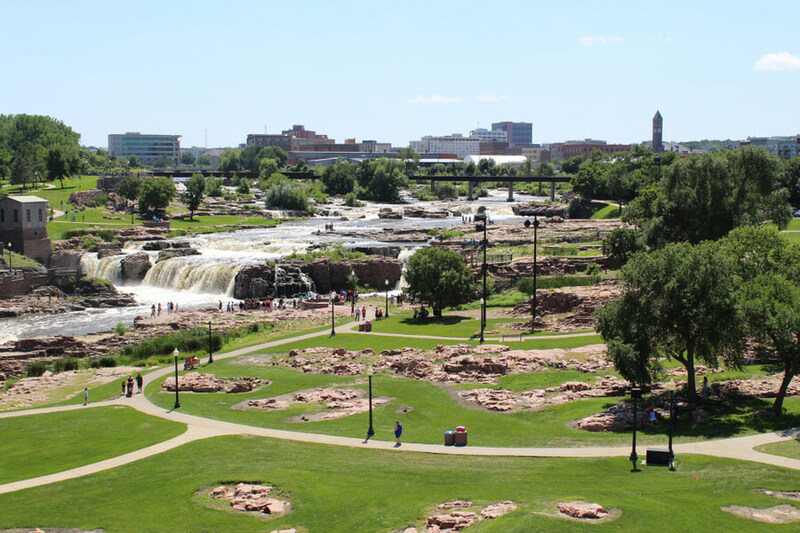 Located in Sioux Falls, South Dakota, The Carroll Institute is a substance abuse treatment organization that offers outpatient, counseling, and transitional living programs to clients living within the Sioux Falls area. The organization began as a committee that offered referrals and education to individuals living within the community with substance abuse issues. After they gained popularity, they began a DUI program, opened a halfway house, and facilitated prevention services within the community. The facility currently offers multiple outpatient treatment services to clients, as well as transitional living options and prevention education. They changed their name to The Carroll Institute from Community Committee on Alcohol Abuse as a way of paying respects to Lynn Carroll, who played an important role in the 12-step recovery movement. The facility currently offers treatment services to clients with chemical dependency and substance abuse issues, but cannot treat dual diagnosis patients. The treatment center also does not offer medical or detox services to clients, but clients who require such care will be referred to an outside facility. An intake evaluation is done at the beginning of treatment to determine the level of care a client requires. During this assessment, it will be determined if clients are struggling with a co-occurring disorder and require a more intensive program. Clients are required to pay a one-time fee before this intake assessment can be done. The facility offers outpatient treatment programs to adults only, and this program is heavily rooted in 12-step modalities. The typical duration of stay in a program is from six to eight weeks and during this time, clients are required to complete weekly individual therapy and 18 group sessions. In addition to these requirements, clients must attend 12-step meetings and topics such as anger and grief management, relapse triggers, self-esteem, and relationship support are offered. Clients are given the option of choosing between morning or evening sessions depending on the time of convenience. Morning sessions take place from 9 am to 13 pm on Mondays, Wednesdays, and Fridays while the evening sessions take place from 5:30 pm to 8:30 pm on Tuesdays and Thursdays. Clients addicted to methamphetamine can benefit from the slightly more expensive outpatient program offered by the facility. This program is under the intensive outpatient track and holds thrice weekly for three hours. Clients in this program are required to complete 12-step meetings, and family counseling and these groups utilize psychoeducation and cognitive behavioral therapy. Clients must be admitted into sober living homes to take this program or while taking this program. After completion of this program, clients are encouraged to remain in the sober living home for up to six months after treatment. The facility understands the importance of family involvement and as such offered a fairly comprehensive family program. Individual therapy for family members is offered, as well as family group therapy. The facility also encourages and incorporated holistic therapy when treating patients. This approach helps provide guidance during treatment and helps create a healthy environment for healing. The staff team at the facility is made up chemical dependency counselors, administrative team, leadership, residential coordinators, clinical staff, and the prevention team. The facility offers outpatient treatment to individuals seeking recovery from substance use addiction. The facility also provides a special intensive outpatient track for clients who are addicted to methamphetamine. The treatment technique used is heavily based on 12-step modalities and cognitive behavioral therapy. The Carroll Institute costs vary as the level of treatment and type of care required differs. The cost of treatment for 30 days is $864, but this amount is subject to change at any time. For more clarity and information, clients are encouraged to contact The Carroll Institute. The facility offers transitional living options to men seeking treatment through The Arch Halfway House located close to the on-site facility. Female clients are also offered transitional living options through the Changes and Choices Recovery Center, also within proximity to the facility. Residents in these homes can go to work or school while receiving treatment, as both homes are recognized as sober living homes. Clients are also required to be registered in an outpatient program or be participating in 12-step meetings. With its utilization of evidence-based approaches and dedication to quality services, The Carroll Institute is a good option for individuals seeking outpatient treatment and living within the South Dakota area.